Like Dame Lillard, Ricky Rubio will have his own colorway of the adidas Crazylight Boost next season. Below is an early look at Rubio's PE, featuring a blue gradient SprintWeb upper with black hits on the laces, tongue, inner lining and heel counter. White works the tongue branding, forefoot stripes, Rubio personalization and Boost cushioning element, which is housed within a blue midsole. A black outsole finishes off the look below. 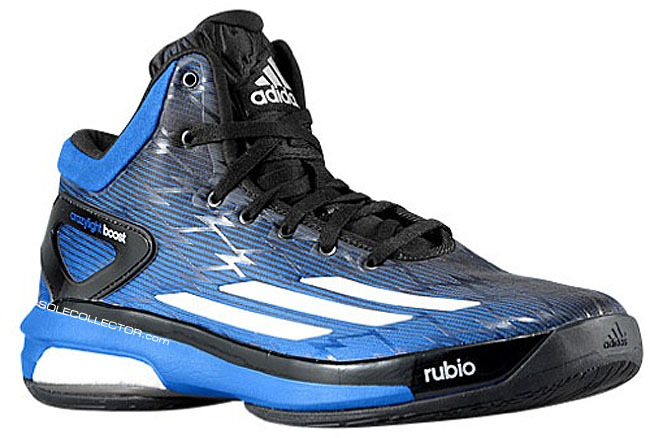 Rubio's Crazylight Boost will be releasing, but there's no date at the moment. Be sure to stick with Sole Collector for updates on when you can pick up a pair.